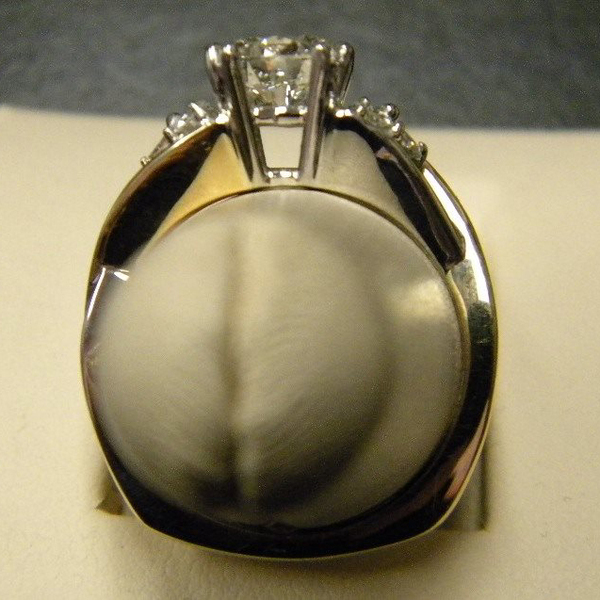 This is a story of the creation of an incredible "Happy Anniversary" ring. 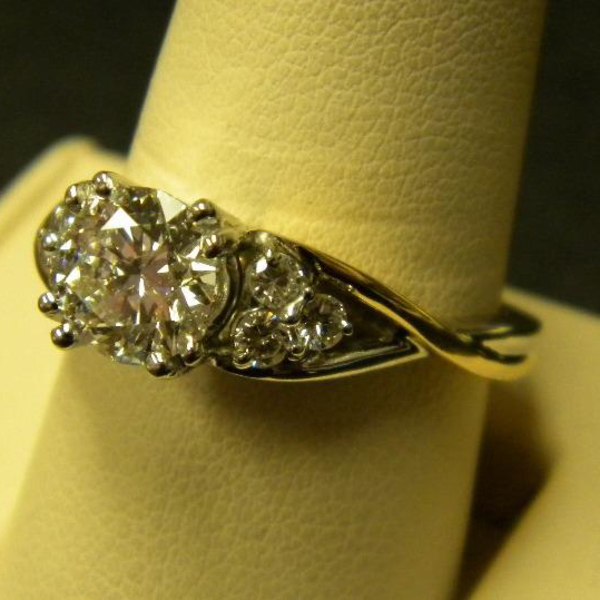 This is special because it illustrates what can be done with a client's vision of her perfect ring. She couldn't find it anywhere and when she came to us seemed a bit discouraged; willing to "settle". I wouldn't let that happen. 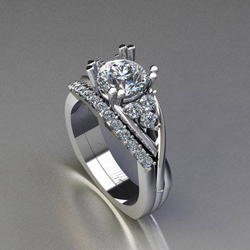 We designed the ring she imagined. So exciting! 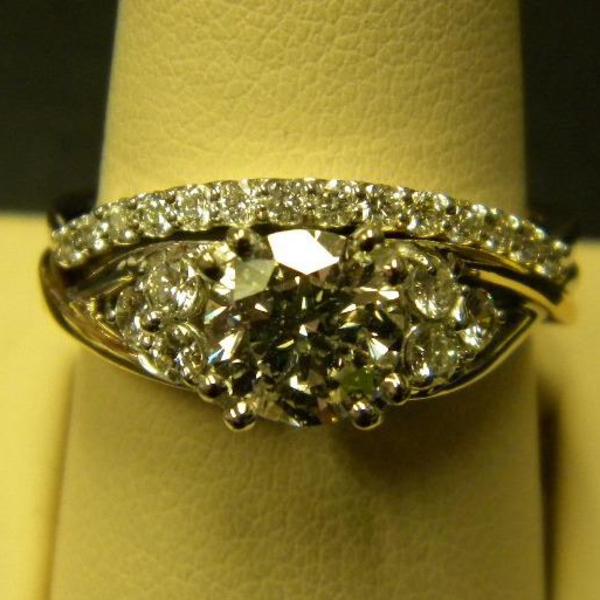 The combination of yellow and white in a simple twist, frames the 6 original diamonds from her wedding band. And the matching band slips perfectly into the engagement ring. An awesome couple! God Bless you both and many years of happiness to come! View from the top. One criteria was to keep the center and the sides close together. Another is that the client loved the double prong look. It gives the four prong arrangement, but with the strength of added prongs at the same position. 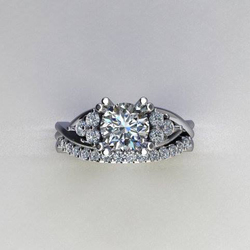 Both wedding band and engagement ring together in outdoor lighting. Slightly angled view. Better view of the double prong. Up close and personal with the final product. 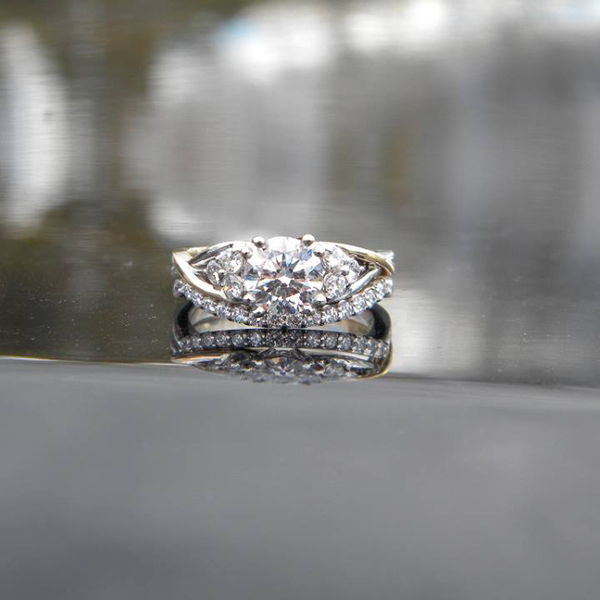 The wedding band fits perfectly into the edges of the twist on engagement ring. These are computer generated images of the ring and wedding band. 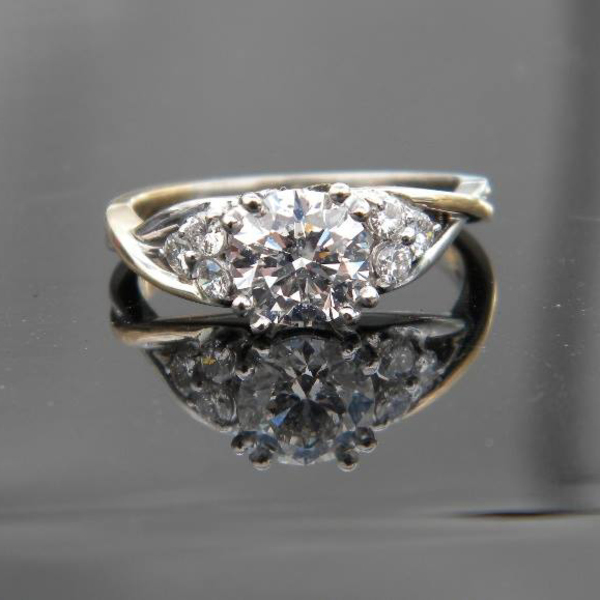 Visit us at Diana Jewelers of Liverpool, NY today, and let our friendly, knowledgeable staff help you design the piece of jewelry you've been dreaming of!